Paint Correction is the permanent removal of imperfections within your car paint to reveal a perfect, deep, glossy shine – just like the day your car left the factory or even better results. Paint Correction is not a just ‘cut or buff’ or 'cut and polish' which we are not fond of and we do not believe in any of those services which a lot of "detailers" are offering, because it simply does not make sense to us. 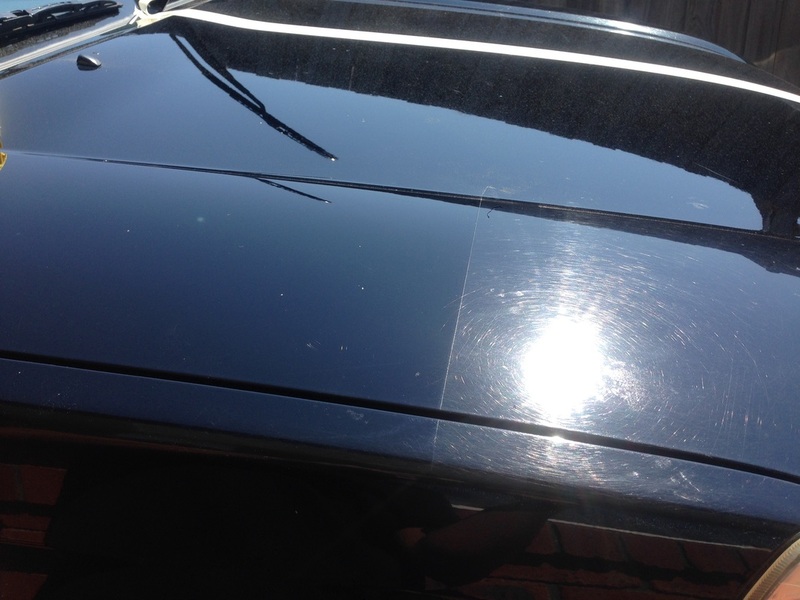 Paint Correction It is a very long haul process and it is a complete transformation of your car’s paintwork and requires a lot of time and expertise, it is for customers who are looking for the best possible finish for their car paint. Everyday wear and paint imperfections like; swirl marks, water spots, minor scratches and even bird etching marks can leave your paint looking tired and dull and over time your car lose its lustre (brand new feeling) Paint Correction can usually remove all of these without the high cost and inconvenience of a respray and bring back the feeling of a brand new car again. At Grand Sport Detailing we inspect your car to evaluate the paint condition and the thickness of the paint before we offer a recommendation and quotation. Based on our years of experience and considering these factors to fully assess your car, will allow us to provide you with an informative and accurate time and cost for correcting your paintwork. Proper preparation is also the key to good results, your car will be snow foamed to dissolve all the dirt and grime, de-waxed to remove any old polishes or waxes that maybe hiding more defects, decontaminated to remove road tar, tram dust, tree and more – and then taped up with 3M automotive tape to protect the trim, rubbers and other areas that are sensitive. This preparation takes time but ensures the very best results – most other "detailers" do not bother. In Grand Sport Detailing we continuously researching and developing with other professional detailers over the world to continuously improve and keep us updated with paint technology. We uses only the latest and current techniques chemicals and equipment from Germany, USA , Japan and South Korea. We also endorse using the best global brands such as Rupes, Menzerna, Detailing Kingdom, Meguiars and TAC System. These are highly effective on nearly all paint finishes including single stage, clear coat and even the latest ceramic-clear paint systems such as BMW is currently using. 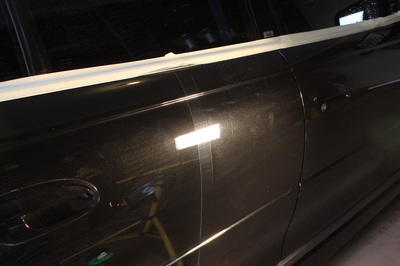 We also use specialist lighting to be able to see all of the paint imperfections, and ensure we focus on every area of your car, this lighting imitates sunlight which as any enthusiast knows shows off paintwork to its very best or very worst! After permanently renewing your paint, Grand Sport Detailing will then detail the rest of the exterior of your car, and protect your paint with the wax, paint sealant, premium wax or paint protection coatings of your choice. This will finish and protect in that deep, clear gloss ensuring it remains longer and makes it easier for you to wash and keep your car immaculate. Once paint correction is completed professionally, good paint correction can last for many years, it is not something that needs to be repeated frequently – proper washing, protection and maintenance are the key to keeping your paint in excellent condition. Here at GSD, here's how the paint correction process generally goes. 2) 2-bucket system hand wash with Grit guard to ensure the wash mitt is always be dirt free. 4) Car will be dried by using a microfibre weave drying towel. (We don't recommend using chamois "shammy" to dry the car because thats one of the major reason it causes swirl marks. 6) Application of fine/medium grade clay bar treatment to remove any above contaminants. 7) Measure the paint thickness with Paint Thickness Gauge to ensure we have enough paint to work with. 11) Protecting (Last Step Product/LSP) the perfect paintwork to protect it. This is done after the machine polishing step. Paint correction may or may not be a one-day process, it depends on the paints condition. Bad condition paint can take up to few days to get a perfect finish, and also sometimes, better than what it came out from factory. 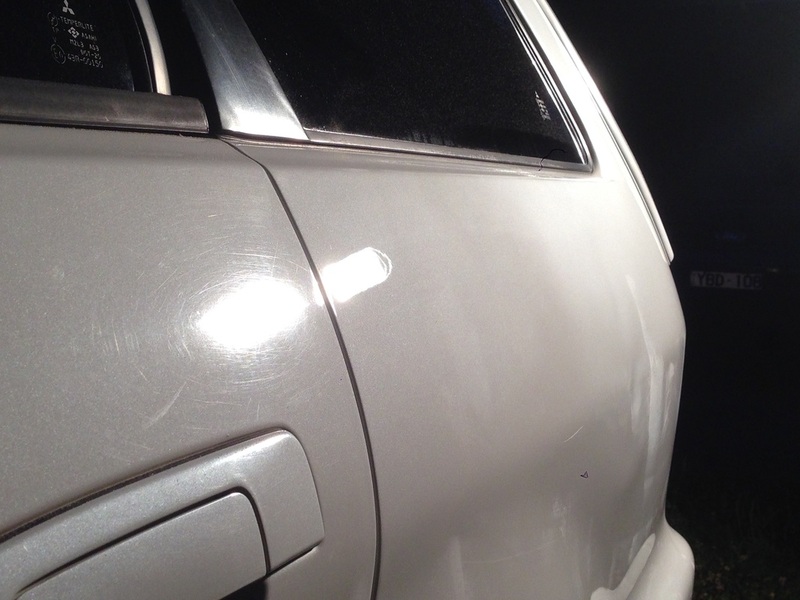 Time and quality equal cost, so it depends on how long a Paint Correction is going to take. 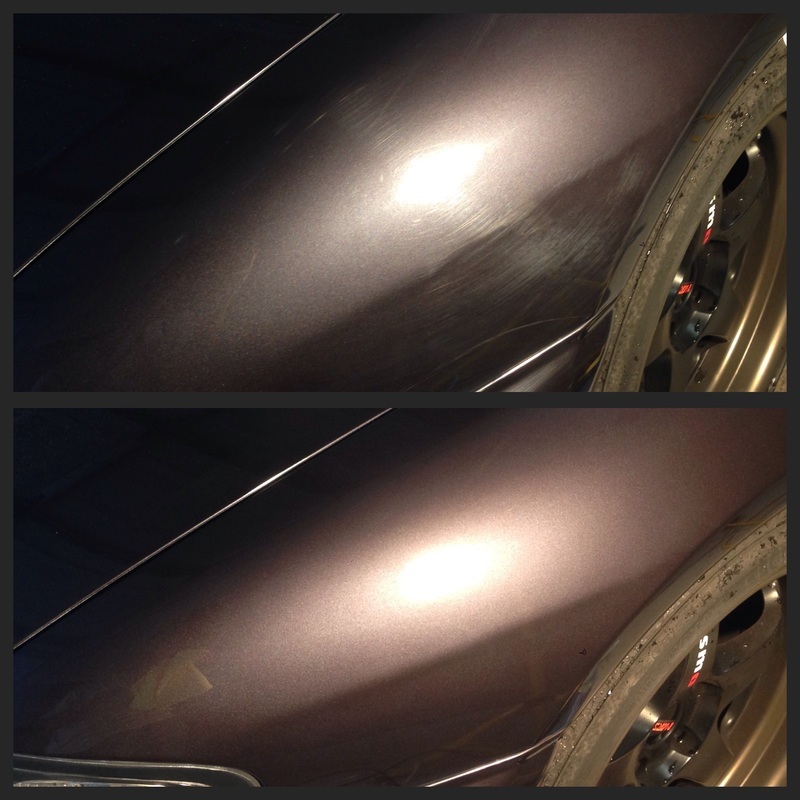 Be sure to speak to us in regards to getting your car paint corrected. All the cars are different, we can't use the exact same process on a Toyota paint for a BMW paint. When you polish a car with a machine, it leaves holograms and swirl marks? Incorrect. 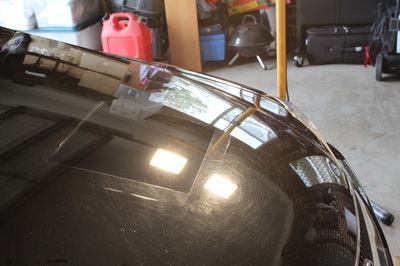 When car paint is polished badly using poor technique, cheap products, dirty pads or insufficient preparation then yes, holograms / buffer trails or swirl marks are left in the paint and these can be seen in the sunlight. At Grand Sport Detailing we prepare the paint surface properly, use only the best products and years of experience - we guarantee and we deliver results. Some detailers offer stage 1, 2 or 3 details / corrections / enhancements. 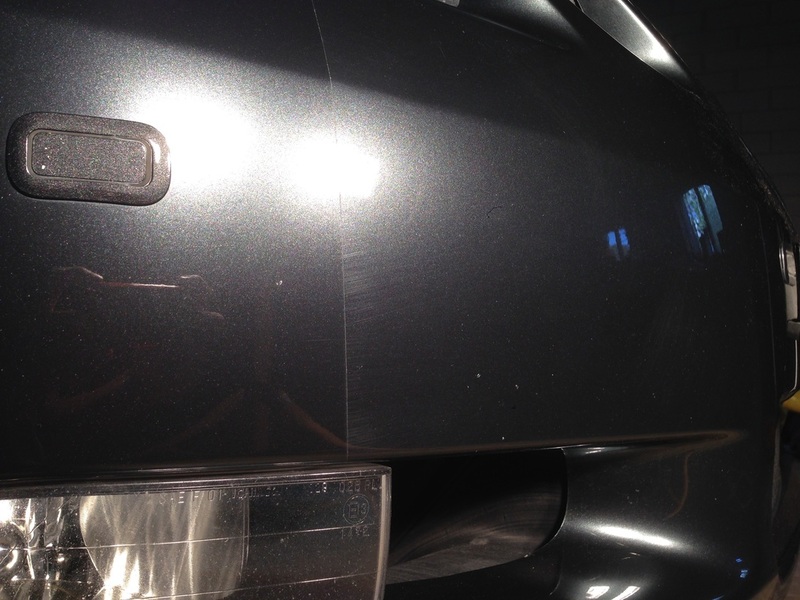 We do not believe in this kind of ‘detail’ – let alone for a ‘paint correction’. The reality is that the paint on your car is in varying conditions on different areas/panels. For example; the paint on your bonnet or boot is probably in worse condition due to harsher circumstances than the paint on your doors, perhaps. Therefore it will take more time, more ‘stages’ with the polisher and a range of polishes and pads – so while 1 stage might give good results for some areas, it will not for all. We analysis and treat every area of your car with focused techniques to deliver real results and bring all panels up to the same standard, some panels need 1 or 2 stages while others may need 4 or 5 to achieve the same finish. We only use Stage 1/2/3/4 details on our portfolio as a reference of how bad the paintwork is and how much is being corrected. Many companies, small businesses and individuals will say that they can polish a car. But sadly, the results are often very poor - paint levels can be left dangerously low, there may be visible marks left from the buffing itself, the original marks may still be present but just temporarily filled, etc. 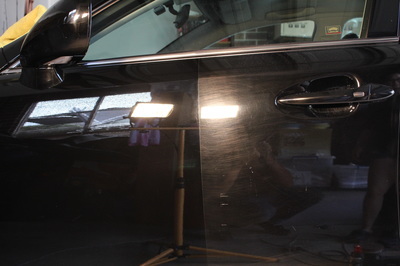 When comes to paint correction/polishing, you really need a specialist. Click here or fill up an enquiry form on this page to organise a free paint assessment and discuss upon your next paint correction!